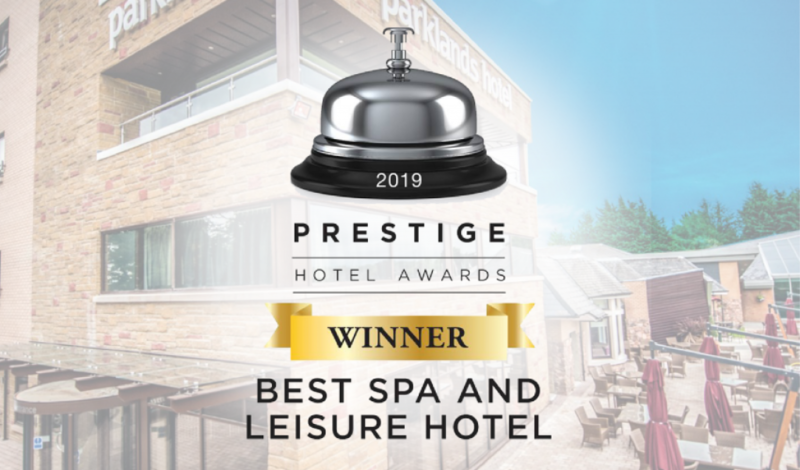 We are thrilled to announce that Parklands Hotel & Country Club has won the award for Best Spa & Leisure Hotel at this year’s Prestige Hotel Awards! Coming out on top of 11 finalists in the Spa & Leisure Hotel category, the Parklands team were presented with the award last night (17th of March) at the Gala Final held in the Marriott Hotel in Glasgow. Now in their 3rd year, the Prestige Hotel Awards were created to honour and celebrate the best hotels and staff that Scotland has to offer. Winning a Prestige Award is a proud achievement for Parklands, and it would not have been possible without our tireless staff and the votes made by members of the public. A lot of work has gone into creating a quality, relaxing and clean facility for our guests and members, and we’re extremely pleased that this has been recognised. We’d just like to take an opportunity to thank everyone who voted for us this year, and to recognise this brilliant achievement for the entire Parklands staff. From the hotel and restaurant to the spa and gym, every one of our team members has helped to make us the Best Spa & Leisure Hotel in Scotland this year. Thank you all for your hard work, dedication and commitment to providing exceptional service for our customers and club members. Here’s to a brilliant year ahead!